On Monday, July 24, 2018 we lost an amazing mother, daughter, sister and friend. Everyone that knew Julie Poff knew that she was one of the most charismatic and powerful personalities you would ever meet. Just by walking into a room she would light up everyone surrounding her with her infectious laughter and beautiful smile. Everyone who knew Julie carries with them a part of her; we have all been changed forever by the time we spent with such an energetic, loyal, and generous individual. Julie’s world was changed forever when she found the true meaning of devotion and love when her daughter, Kayla Ann Poff was born on 9/16/1996. Kayla became the center of Julie’s universe and brought more joy and happiness to her than any of us had ever seen. 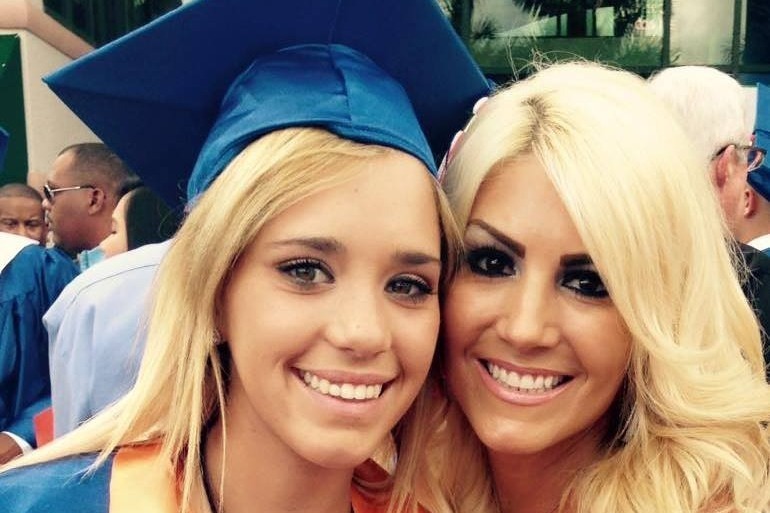 It is a true tragedy for her to lose such a loving mother at the young age of 21. This campaign is being established so that Kayla will have the opportunity to finish her pursuit of a higher education without concerns about the financial burden. Kayla is an established junior golfer and golf is her lifelong passion. In conjunction with finishing her education she will also be focusing on pursuing her golf career. The loss of her mother has only amplified her resolve towards choosing this career path. The proceeds from this campaign will be transferred into a trust fund account created for Kayla. Her uncles Valmore Ward (Trey) and Brandon Johnson are the trustees of her trust and will insure that the funds go towards her education. All benefactors will be given information when the account is created for future options to gift into the account. 100% of the proceeds from this campaign will be used to establish her trust fund account for her education. We are hoping and praying that any offer that you can donate towards this request, will help assist her through this important transition. We thank you from the bottom of our hearts and appreciate your help during this time. “Little by little, a little becomes a lot"- Tanzanian proverb. We wanted to thank you all for your generous donations to Kayla’s education fund. She will be reporting to Columbus State University next weekend and will be on their golf team. She received a partial scholarship from them so these funds will help cover her remaining tuition and books. We are truly grateful to each and every one of you who have helped make her dream come true.